Sir Terry Frost, 87, British artist. John Gould, 94, American columnist. Sir John Gray, 66, British diplomat. Ramón Serrano Suñer, 101, Spanish politician. Sir Terence Ernest Manitou Frost RA was a British abstract artist, who worked in Newlyn, Cornwall. Frost was renowned for his use of the Cornish light, colour and shape to start a new art movement in England. He became a leading exponent of abstract art and a recognised figure of the British art establishment. John Thomas Gould was an American humorist, essayist, and columnist who wrote a column for the Christian Science Monitor for over sixty years from a farm in Lisbon Falls, Maine. He was published in most major American newspapers and magazines and wrote thirty books. Sir John Walton David Gray was a senior British diplomat. George Chubb, 3rd Baron Hayter, 92, British politician and industrialist. 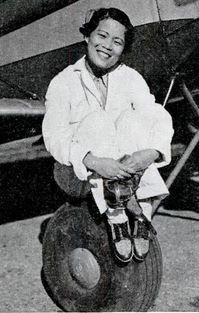 Katherine Sui Fun Cheung, 98, Chinese aviator. Hroar Dege, 82/3, Norwegian restaurateur. Nehemiah Levanon, 88, Israeli intelligence agent and diplomat. George Charles Hayter Chubb, 3rd Baron Hayter was a British industrialist and politician. Katherine Sui Fun Cheung was a Chinese aviator. She received one of the first private licenses issued to a Chinese woman and was the first Chinese woman to obtain an international flying license. She became a United States citizen after attaining her licensing. Hroar Dege was a Norwegian restaurateur. Jack Daniels, 79, American politician. Paul Hill, 49, American anti-abortion activist; executed for a double murder. Norman Porteous, 104, theologian and writer on Old Testament issues. Jack Daniels was a Democratic New Mexico state representative. He ran unsuccessfully for the governorship in 1970, and for the United States Senate in 1972. Paul Jennings Hill was an American minister convicted for the anti-abortion motivated killing of physician John Britton and Britton's bodyguard James Barrett in 1994. Hill was sentenced to death by lethal injection and was executed on September 3, 2003. Norman Walker Porteous was a noted theologian and writer on Old Testament issues, and the last surviving military officer of the First World War. Susan Chilcott, 40, English opera singer, breast cancer. Penny Dwyer, 49, English comedian. David P. Robbins, 61, American mathematician. Tibor Varga, 82, Hungarian violinist, conductor and pedagogue. Penny Dwyer was a British comedy writer and performer, noted for being a member of the Cambridge Footlights revue The Cellar Tapes which won the inaugural Perrier Comedy Awards in 1981. The other performers in The Cellar Tapes were Stephen Fry, Hugh Laurie, Emma Thompson, Tony Slattery and Paul Shearer. David Peter Robbins was an American mathematician. He is most famous for introducing alternating sign matrices. He is also known for his work on generalizations of Heron's formula on the area of polygons, due to which Robbins pentagons were named after him. Sir Richard Harrison, 82, New Zealand politician. Sir Ian Hunter, 84, British classical music impresario. Gisele MacKenzie, 76, Canadian-born singer and entertainer. Harley Joseph Grossman was an American professional baseball player whose career lasted for five seasons (1949–1953) and who appeared in one Major League game as a relief pitcher for the 1952 Washington Senators. A native of Evansville, Indiana, Grossman attended Ball State University; he stood 6 feet (1.8 m) tall and weighed 170 pounds (77 kg). Sir Ian Bruce Hope Hunter was a British impresario of classical music. Known as 'Mr. Festival' to many in the arts world, Hunter was one of the most important figures in a post-World War II cultural renaissance in the United Kingdom. From the mid-1950s, following the death of Harold Holt, he headed the music management agency Harold Holt Ltd, which joined with Lies Askonas Ltd in the late 1990s to form Askonas Holt. Harry Goz, 71, American musical theater actor ( Fiddler on the Roof ) and voice actor ( Sealab 2021 ). Kevin Morgan, 82, Australian politician. Mohammad Oraz, Iranian mountain climber, Mount Everest Summiter, died while climbing Gasherbrum I.
John Ross, 62, Australian politician. Wilbur Snapp, 83, American musician, stadium organist for the Clearwater Phillies and the Philadelphia Phillies. Great Antonio, 77, strongman and eccentric. Lloyd Humphreys, 89, American psychologist and methodologist. Joe McDonald, 74, Scottish footballer. Rudy Mobley, 81, American football player. Jaclyn Linetsky, 17, Canadian voice actress ( Caillou , 15/Love , What's with Andy? ), road accident. Gulabrai Ramchand, 76, Indian cricketer. Leni Riefenstahl, 101, German filmmaker. Caroline St John-Brooks, 56, Anglo-Irish education journalist. Larry Hovis, 67, American actor ( Hogan's Heroes ). Sir Francis Purchas, 84, British jurist. Edward Teller, 95, American physicist, "Father of the H-Bomb". Marthe Vogt, 100, German neuroscientist. Tata Esteban, 48, Filipino producer-director, heart attack. Martin Page, 65, British writer and journalist, heart problems. Ben Bril, 91, Dutch boxer. James Edward Fitzgerald, 64, American Roman Catholic prelate. Anna Lindh, 46, Swedish foreign minister. John Ritter, 54, American actor ( Three's Company , Clifford The Big Red Dog , It ), aortic dissection. Garner Ted Armstrong, 73, American evangelist. Johnny Cash, 71, American country singer. David Dahlin, 86, American physician and pathologist. Chappie Fox, 90, American circus historian. Brian Plummer, 67, British writer and dog breeder. Ron Burton, 67, American football player. Alexander Gläser, 89, German World War II Luftwaffe pilot. Frank O'Bannon, 73, Governor of Indiana. Kenneth Walter, 63, South African cricketer. Donald O. Clifton, 79, American psychologist, author, researcher, and entrepreneur. Garrett Hardin, 88, American ecologist and philosopher. Ken Kifer, 57, American cyclist and writer. Yetunde Price, 31, half-sister of Venus and Serena Williams, murdered in a shooting. John Serry Sr., 88, Italian American musician composer and arranger. Jack Brymer, 88, British clarinettist. Donald Cameron, 75, Scottish rugby union player. Donald Deacon, 83, Canadian politician, leukemia. Sheb Wooley, 82, American actor, singer ("Purple People Eater"). Yitzhak Artzi, 82, Israeli politician. Lewis Clark, 79, Canadian politician. George Gale, 74, British cartoonist. Erich Hallhuber, 52, Bavarian actor. Ray Harvey, 74, Australian rules footballer. Harry Birrell, 75, South African cricketer and schoolmaster. Samuel Delbert Clark, 93, Canadian sociologist. Richard A. Howard, 86, American botanist and plant taxonomist. Slim Dusty, 76, Australian country music singer-songwriter, guitarist and producer. Alfred Grislawski, 83, German fighter pilot during World War II. Ellen Idelson, 42, American television producer, television writer and actress, complications from cancer and Crohn's disease. Frank Lowe, 60, American jazz saxophonist, lung cancer. Adrian Shelford, 39, New Zealand rugby footballer, heart attack. Jim Thompson, 67, British Anglican bishop. Ghulam Ahmad, 80, Pakistani forestry official. Robert Blake, Baron Blake, 86, English historian and peer. Lorenzo Calonga, 74, Paraguayan footballplayer. Gordon Mitchell, 80, American actor and bodybuilder. Simon Muzenda, 80, Zimbabwean politician and vice-President of Zimbabwe. Vernon Singer, 84, politician in Ontario, Canada. Sonora Webster Carver, 99, American entertainer. Gareth Williams, Baron Williams of Mostyn, 62, British Cabinet minister, Leader of the House of Lords. Robert H. Lochner, 84, John F. Kennedy's interpreter. Moropant Pingley, 83, Indian politician and leader of the Rashtriya Swayamsevak Sangh. Otis A. Singletary, 81, American historian. Gordon Jump, 71, American actor ( WKRP in Cincinnati ). Tony Shryane, 84, British radio producer. Hugo Young, 64, British political commentator. Rosalie Allen, 79, American country musician and television and radio host. Zubayr Al-Rimi, 29, militant in al-Qaeda's Saudi wing, killed by Saudi security forces. Earl Brown, 87, American football and basketball player and coach. Zofia Chądzyńska, 91, Polish writer and translator. Simcha Dinitz, 74, Israeli statesman and politician. Donald Nicol, 80, English Byzantinist. Sarah Parkinson, 41, British producer and writer of radio and television programmes, cancer. Mirta Plá, 63, Cuban dancer. Rex Robbins, 68, American actor of stage and screen, stroke. Yuri Senkevich, 66, Soviet doctor and scientist, heart failure. Yoshinobu Ashihara, 85, Japanese architect. Derek Prince, 88, English biblical scholar and author. Edward Said, 67, Palestinian scholar, leukemia. Aquila al-Hashimi, Iraqi politician, member of the Governing Council. Alastair Borthwick, 90, British author and broadcaster. John Clayton, 63, Australian actor. Dai Davies, 78, Welsh rugby player. Herb Gardner, 68, American artist and writer. Franco Modigliani, 85, Italian Nobel Prize-winning economist. Donald Nicol, 80, British Byzantine scholar. George Plimpton, 76, American author, editor, socialite & actor. Olle Anderberg, 84, Swedish wrestler. Glyn Gilbert, 83, British Army general. Shawn Lane, 40, American guitarist and composer. Robert Palmer, 54, British singer. Tom Brennan, 81, American ice hockey player. Donald O'Connor, 78, American actor, dancer. Sir Christopher Foxley-Norris, 86, British Air Chief Marshal. Elia Kazan, 94, American film director ( A Streetcar Named Desire , On the Waterfront , East of Eden ). Althea Gibson, 76, African-American tennis player. Wesley Tuttle, 85, American country music singer. Raoul Gregory Vitale, 75, Syrian musicologist . Jack Wedley, 85–86, Canadian football player. Yusuf Bey, 67, American Black Muslim activist and leader, cancer. Ronnie Dawson, 64, American rockabilly singer, guitarist and drummer. Ashley Greenwood, 91, British soldier, lawyer, and judge. John Hawkesworth, 82, English television/film producer and writer. Robert Kardashian, 59, American criminal defense lawyer, esophageal cancer. John Rosenbaum, 70, American kinetic sculptor. Helen Van Pelt Wilson, 101, American garden writer. ↑ "Héctor Rodríguez". Baseball-Reference.com . Retrieved February 22, 2019. ↑ "Harley Grossman". Baseball-Reference.com . Retrieved February 22, 2019. ↑ Pareles, Jon (September 8, 2003). "Warren Zevon, Singer-Songwriter, Dies at 56". The New York Times . Retrieved April 20, 2019. ↑ Skelton, David E. "Johnny Welaj". Society for American Baseball Research . Retrieved February 22, 2019. ↑ Jay, Michael (October 31, 2003). "Taya Zinkin". The Guardian . Retrieved April 20, 2019. ↑ "Pauline Crawley". All-American Girls Professional Baseball League . Retrieved March 29, 2019. ↑ "Don Reese". Pro-Football-Reference.com . Retrieved January 30, 2019. ↑ "Red Barbary". Baseball-Reference.com . Retrieved February 22, 2019.